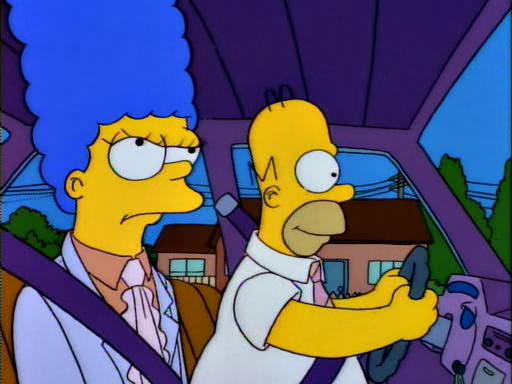 Marge’s eyelids are somewhat all fucked up in this one. That idiot Tibor lost the key, but somehow, he still gets promoted over Homer. Love this call back joke throughout the episode. I believe the joke was that Homer had lost the key, and blamed it on Tibor. I love this little running gag, too. Well, insofar as the upper management at SNPP are concerned, it was Tibor that lost it. And he can’t speak English. And yet he still gets promoted ahead of Homer.